Everyone has a story. It's about time we start listening. Who they met along the way. The dreams they are chasing. 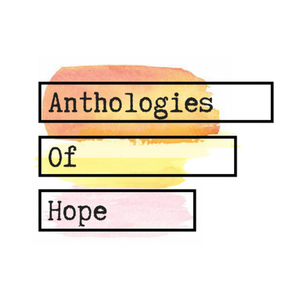 These are just some of the topics we’ll cover in Anthologies Of Hope, a new podcast on journeys taken, battles won, and pain endured. But ultimately, why we are still here. We'll dive deep into why we’re all still fighting for our better tomorrows and why we believe they exist. It is our profound belief at Anthologies of Hope that talking about the hard things in life makes them more bearable and more manageable. Some of the most difficult situations we find ourselves in, as people, are mental health-related and current or recurring mental health issues, but feel we cannot talk about them due to fear, shame, or stigma. This podcast will serve as a story-telling vehicle for our friends who found themselves in similar situations, but feel compelled to share their story to help others in a similar time of need or crisis. This week's episode is all about the mental health boom and the language of mental health making its way into all sorts of the media that we consume regularly and for self-care. 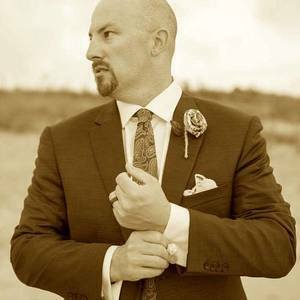 Rick dives deep into movies, television shows, stand-up comedy, podcasts, books, and Ennegram resources that have been discussed on Anthologies of Hope so far, detailing the background of what they mean to him or the individual guests from each episode. We hope that some of these resources are helpful for you to laugh, learn, escape, and thrive; as well as also look forward to hearing some of your favorites of each type. So don't be shy - hit us up on any of our social media or email and let us know what your favorite mental health-related movies, television shows, stand-up comedy sets, podcasts, and books are! Catching up with Emily Allison this week, we dig into her change in living situation and career path since Heart Camp Los Angeles in early May 2017. You will also hear of the great work she is now a part of in her new service-oriented career path, how that contrasts with her Enneagram personality type, and some of the great self care work that she does to maintain her resiliency day in and day out. We also walk through the early part of Emily's story, detailing her experience with depression & anxiety, how she knew she was dealing with more than just "everyday life", and how she went about finding help to get to the bottom of it all. This week's guest is… me, Rick Osowski. It’s always weird to figure out what is your "elevator pitch". Similarly, it’s always difficult to get all of your story out there within a few minutes when someone asks “what brought you to the mental health movement?”. Instead of overlaying my story on top of our guests' each week, I was saving it for when we’d eventually get to my turn. We cover my experience with the effects of suicide at an early age, as a young adult, and late 20s, along with walking through a number of the factors that made me into the Enneagram 2 that I am today. I'd want to thank my wonderful wife Amanda for fulfilling the role of interviewer on this episode and bringing some great questions of her own to this role-reversed conversation. The conversations continue this week with Amanda Osowski, not only another member of the Heart Camp family, but a member of my actual family... my wonderful wife. We cover all of Amanda's mental health journey to date - including the impacts of death at an early age, the impacts of suicide when not much older, the benefits of an intensive outpatient program when therapy or counseling are not enough, as well as our more recent infertility struggles and IVF journey. It was very surprising to both of us when we discovered a similar stigma and silence around IVF, as we had experienced around mental health. Amanda explains why she took it as a personal mission to help to break that stigma, silence, and shame around an everyday medical condition and journey that will soon bring us our daughter in a few short weeks. Jumping back into our traditional interview format, Kim joins us this week and her story is arguably the most powerful story we have been empowered to share on Anthologies of Hope so far. Through Kim’s tumultuous mental health journey, we see a robust toolbox that Kim has developed over the course of that journey - from a “fake it until you make it” game face, to therapy & counseling, to the use of more integrative mental health practices like an intensive outpatient program (IOP). Her story is a powerful one and a constant reminder that it is completely ok not to be okay, as well as the fact that being in crisis does not mean you are broken. I will be forever grateful that Kim chose to share her story with us and you, our listeners. "Conversations Cafe: The Hero in You - Positive Mental Health Influences in Pop Culture"
This episode is dedicated to The Hero in You - Positive Mental Health Influences in Pop Culture. This episode unveils a new format for Conversations Cafe where we spotlight our first solo feature guest, comedian Marty DeRosa to talk about the intersections between comedy, pop culture, and mental health as we gear up for C2E2 weekend. Carrie Marcella joins us from upstate New York during the most wonderful time of the year… early January. Carrie has a tremendous story, which she has a solid grasp of and the work she has done on her journey shows through her storytelling. She has experienced a lot along the way, from losing a best friend to suicide, depression, anxiety, an eating disorder, and addiction, but you can see by the way she tells her story that it does not wholly define her in a singular way and she is so much more than all those individual labels put together! This week is all about breaking the mold! We talk with Eric Adams, a bearded and tattooed Professional Mental Health Counselor from Delaware with a heart of gold. We cover the ins and outs of what it means to be a Licensed Mental Health Counselor both professionally and personally, including how scheduling plays a major role in his self care. Eric's story of how he ended up getting to Heart Camp truly gave me goosebumps, so make sure to pay attention for that! We had another fantastic episode of Conversations cafe! We kicked off the event by having Sherri Gross Community Outreach Coordinator of The Road Home Program. Share on being a caretaker and the types of impact that can exasperate among all parties in a household from the perspective of caring and supporting a veteran. Our tremendous panel shared from their experience and background. Vikki Webster founder of the Reginald and Paul Sewell Foundation touched on the impact of losing her brothers to suicide and how that impacted herself and her brothers network of friends that were a form of family, along with touching on her ongoing journey to make peace with her brothers passing. Amanda Vitrano founder of Learn For Lauren approached the topic from the loss of her sister Lauren who died by suicide and shared insights into how her sister’s challenges could be hidden from the family. She also shared how her family and herself have coped and found paths to healing and finding a positive forward path. John Jonak a principal at Westmont JH in DuPage county, and military veteran. He shared lessons learned on confronting silences, stigma, and challenges as a veteran and with the unfortunate loss of his 9 year old daughter Katie, and his family found to find strength and healing. We had another phenomenal round of participation from our engaged audience who asked great questions and provided for further discussion and understanding! What a great night! Saving the best for last in Season 1, we have Candice Carpenter joining us this week to discuss some of her journey to find “what works for her” with regard to her mental health, her perspective on approaching life as a series of integrative practices and really striving to be your whole holistic self. Similar to many of our other guests this season, Candice is a very prolific and talented writer. She blogs on all things geek, comics, movies, and pop culture at wegeekgirls.com, as well as a personal lifestyle, travel, and awesome looseleaf tea blog at onwanderwoodlane.com. I hope you enjoy listening to this conversation as much as I did recording it! Katie Mumper joins us this week for another exciting conversation around mental health, writing, and overcoming addiction. Katie is a Whovian, a Penn State superfan, a 4 on the Ennegram, and currently in charge of Social Media for TWLOHA. So we have some back to back continuity with folks doing grass roots, hands-on work with one of our favorite mental health organizations! I had a blast talking with Katie as she’s another one of our guests that has a great grasp of her story, where it was most difficult, where she fought for the light, where she needed the help, and how she got through all of it… while also still acknowledging the power of everything she gained through all of her previous struggles, including an addiction that she talks (and has previously written) openly about. Kenneth Westphal joins us this week on Anthologies of Hope! A former To Write Love On Her Arms intern and an amazing photographer, we dive into what makes photography so special for Kenneth, the difference between sunrises and sunsets, and why camp is such an important part of Kenneth's story. We also discuss the tools that Kenneth has picked up along the way to help with conversations of hope and how the timing of the first Heart Camp session in January 2018 could not have come at a more perfect time for him!